The East Devon Way runs for some 40 miles between Exmouth and the county boundary at Lyme Regis, inland of and parallel to the South West Coast Path. 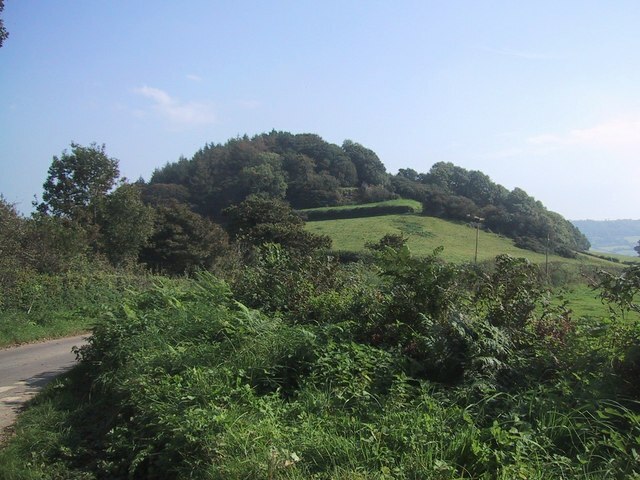 In a variety of places there are walks which link the two, creating a series of long distance circular routes throughout East Devon. This walk links the two routes along the valley of the River Sid. Although a short river, its valley forms a distinctive attractive landscape feature as it nears the sea. Linking the village of Sidbury on the East Devon Way with Sidmouth on the coast, the route uses quiet lanes and then a surfaced footpath. It is therefore a good walk for the winter months, since it is unaffected by wet or mud, and can also be used by wheelchairs or pushchairs. Buses link Sidmouth with Sidbury on average twice an hour, Mondays to Saturdays, reducing to an hourly service evenings and Sundays. Buses also serve both places from Exeter on a similar frequency. Sidbury: pub, shop/PO, buses, car park. Sidford: pub, shops, buses, car park, toilets. Sidmouth: all facilities. Largely flat except for a gentle climb and descent leaving Sidbury. No stiles. Landranger [1:50,000 scale] No. 192 Exeter and Sidmouth. Explorer [1:25,000 scale] No. 115 Exmouth and Sidmouth. This is a one-way walk, so it is suggested that a bus is taken from Sidmouth to Sidbury, and then walk back. Alternatively, it is possible to use Exeter as a base; in this case get the bus from Exeter Bus Station to Sidbury, returning to Exeter from The Triangle at Sidmouth. Sidbury is an attractive village in the middle part of the Sid Valley, among the more compact of Devon settlements. The church, opposite the bus stop, is one of Devon’s most interesting, including what appears to be a Saxon crypt, possibly the only example of Saxon work in a Devon church. The village was once an important centre, a market and fair being granted in 1290. Bridge Street is lined by rows of attractive, mostly 18th century, cob cottages, typical of this part of Devon. Bridge Street is the route of the East Devon Way as it heads towards Lyme Regis. Sidbury takes its name from the “bury”, or fortified place, now known as Sidbury Castle. This prominent wooded hill on the other side of the Sid Valley comes into sight on the right as the lane of Deepway rises away from the river. This earthwork dates from the early Iron Age, one of a number situated in similar prominent locations in East Devon. The Sid Valley, with Sidmouth on its floor, is clear ahead, framed by two of the characteristic ridges – Salcombe Hill on the left and Peak Hill on the right – with the sea in the background. The original packhorse bridge, said to date from around 1100. 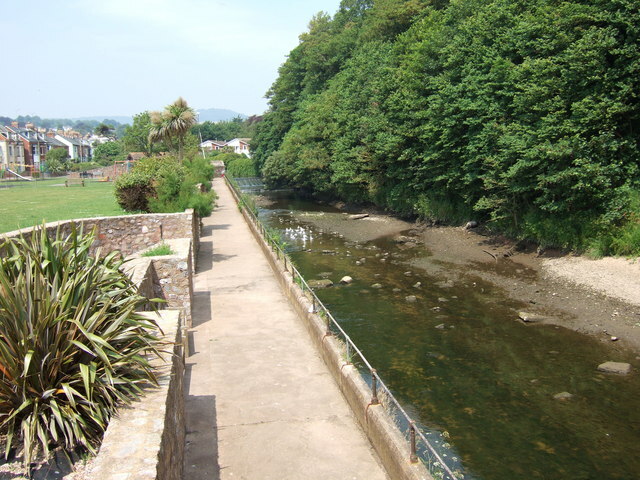 It was retained as the footbridge when the road was widened by Devon County Council in the 1930s. The church was built in Victorian times when Sidford was beginning to expand. It was completed in 1873. The surfaced path continues along the floor of the Sid Valley giving good views of Salcombe Hill and its wooded summit. This path [“The Byes”] is largely the result of the actions in the latter half of the 19th century of the Sid Vale Association. This body, founded in the 1840s as the Sidmouth Improvement Committee, is one of the earliest amenity societies in the country. At the road, just to the right, is the old Toll House. This was built in the early 19th century on the road into Sidmouth from the east. This eastern part of Sidmouth is where the original fishing village was based. By the early 19th century the fishing trade had declined, and this corresponded with its being “discovered” by the well-to-do who were unable to visit Europe because of the Napoleonic Wars. They began to visit and settle in the town, building themselves ornate “cottages”, often now converted into hotels, residential homes and the like. The Mill Street area retains something of earlier Sidmouth. Alma Bridge was named after a Crimean War battle. Originally constructed in the mid-19th century, it was replaced by the present bridge in 1900. There are a number of interesting buildings along the Esplanade. These include the York Hotel, Sidmouth’s first purpose-built hotel (1807), built on an area earlier used for boat-building. Beach House is said to be the first house built on the sea front and dating to the late 18th century. The Mocha, the next large building, also dates to the early years of Sidmouth’s development. Of later date is the Kingswood Hotel, built in the 1890’s as the Marine Baths. It became a hotel following the first World War. The Bedford Hotel is another early Sidmouth building, originally a library. The rock breakwaters a little offshore here were built in the 1990’s to prevent the erosion of the beach. They were constructed of Cornish granite, much of which was brought in by sea. In Station Road is one of Sidmouth’s most prominent landmarks, Fortfield Terrace. The houses were built in the 1790’s for renting to the gentry, as a speculative development. A prominent feature of the terrace’s design is the double headed eagle on the terrace pediment, added in the 1830s to commemorate the visit of Grand Duchesse Helene of Russia, accompanied by a staff of over 100, including a Russian band. She occupied No. 8 and her close entourage No.7, the rest of her staff taking lodgings all over the town.